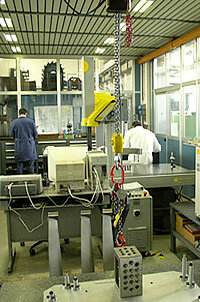 The high quality of products and the will to reach the complete satisfaction of the customer, leads Moretti S.r.l. to constant investments, which make Moretti S.r.l. a leader company in the machineries and production process. Following, you can find a detail of the machines which are present in our company today: the most interesting ones are provided with technical description.